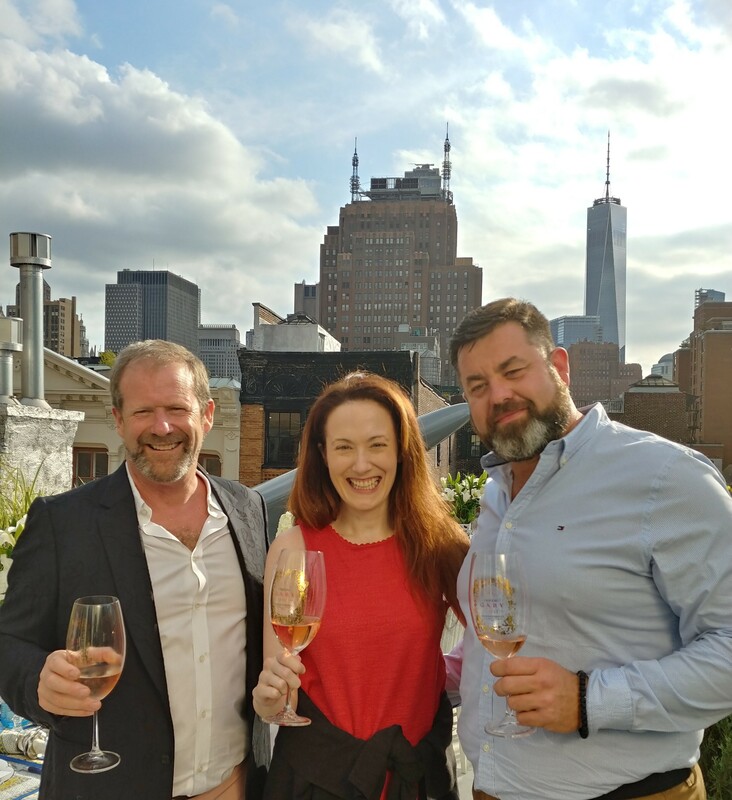 When it comes to the wine world in New York City, you never know where you will find yourself… it could be in a hole-in-the-wall space on a somewhat unsavory street or you can enter a grand space that evokes a majestic history. After a few decades, I have gotten used to having no idea what my surroundings would be like at any moment, or every turn of the corner. When it comes to the spaces that I enjoy the most, it is really dependent on the people who are occupying them. I can be surrounded by luxury with the energy sucked right out of me by draining conversations, or feel reinvigorated by inspiring exchanges in a dilapidated building … and sometimes it will happen vice versa. There are only so many hours in the day and it becomes impossible to go to every wine event as a freelance wine writer trying to survive… actually, many times I painfully miss out on great opportunities to talk to a legendary producer or go in-depth into a wine region because, first and foremost, I have work and personal responsibilities that always take precedence. 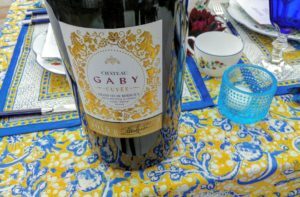 But there was an opportunity to taste the wines of Château Gaby that called for only an hour commitment in downtown Manhattan, the Soho area, with the US owner and his French winemaker. 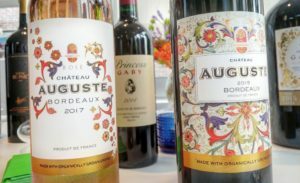 The timing of it worked was for me as I didn’t have a lot on my plate that week, I would already be in the area, and although I have loved Bordeaux wines for many years I had never heard of this château, and I thought it was one of those hidden, small gems that offers bang for buck – proving that not all Bordeaux wines are horrendously expensive. As I was leaving for the tasting of Château Gaby, I realized that I wasn’t really sure what kind of space I was going to find myself in since I was heading towards the more charming little corners of Soho that are tucked away among the cobblestone streets, away from the known, more crowded areas. And then, before I knew it, I was in this incredible apartment that was on the top floor of a small, historic looking building that just happened to have one of the most incredible views of the One World Trade Center building from the patio… just something one never sees in Manhattan, a big patio with an open view. There were only three of us media people there as we talked to the owner, Tom Sullivan, who warmly welcomed us into his home with his overall down to earth demeanor that made me feel immediately at ease. His sense of openness was not only surprising to see as a stranger in his home but when I found out later that he was the founder of Lumber Liquidators, I thought it was funny that he first described himself as simply a guy who started out in construction with just an old truck and a couple of bad checks. Through time, Lumber Liquidators turned into an enormous, public company where the original principles established by Tom were lost to appease investors and he resigned a couple years back. But Tom is still investing in companies that he believes in, such as Gracious Home and opened up a new location in Soho – right in his neighborhood. As I stood on that patio with a jaw-dropping view, I listened to Tom say how he never thought that he would want to place roots in Bordeaux as well… as it never seemed to fit the sort of non-BS, just drink great wine without a fancy pedigree attitude… but after traveling to many other regions around the world, Bordeaux was the place he enjoyed spending his time. He even said that he could easily stay there for months, and so when he came upon châteaux in lesser known areas that were struggling to survive yet had fantastic, organic vineyards (as he has been committed to eating organic for over a decade) he knew he was in trouble… and when it was all said and done, he not only bought Château Gaby, winner of a contest in Bordeaux in 2012 against other top red wines, but also bought Château du Parc, Château Moya and Château Auguste. And when Tom met the winemaker Damien Landourar, who had been making wine in Bordeaux for over 20 years, he knew that Bordeaux was the wine home he was looking for as he immediately felt the chemistry of Damien being an old drinking buddy which was evident during our tasting. Despite only being there for a little over an hour as I needed to run back home to get some work done, I felt my soul recharged in the simplest way possible. Humans treating others like humans… no weirdness, no competitiveness of who knew more about wine, no walls up, and everyone contributed to that feeling. Maybe Tom was comfortable because we were in his home, or maybe it was the idea that they made sure to invite media (the three of us) who weren’t ambitiously unscrupulous writers ready to write a misleading clickbait piece and so that is why Tom was at ease, or perhaps he is at the place in his life where he knows that although you never know who you are dealing with, you need to be free to be yourself; life is too precious and short. He knows who he is and what he stands for and if someone else doesn’t get it then they are the ones losing out. 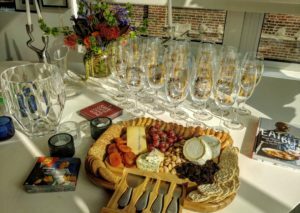 As I soared down the street with inspiration after this tasting, I knew that this is what wine is supposed to be about and that I was meant to go to this tasting. Wine’s greatest purpose is to bring people from different backgrounds together, uplifting all involved. We need more of that in the world, and I definitely am determined to keep finding it. 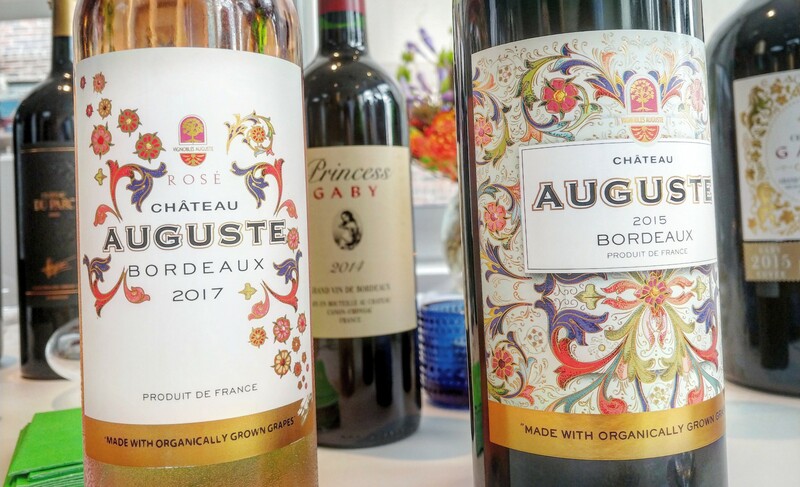 –2017 Château Auguste Rosé, Bordeaux AOC, France: 50% Merlot and 50% Cabernet Sauvignon. Tom said he was immediately attracted to how well the vineyards were taken care of on this 74 acre (30 hectare) organically farmed estate on the Right Bank of Bordeaux. He feels this estate produces pristine fruit with an incredible freshness that he thinks is suited to rosé as well as an everyday drinking red wine (we tasted the red from the 2015 vintage as well). 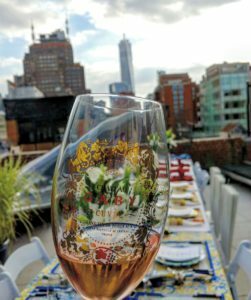 The rosé had a bright acidity with flavors of fresh black raspberry that had a hint of wet stones on the finish. The 2015 red (90% Merlot and 10% Cabernet Sauvignon) had deeper red currant and plummy fruit flavors with a generous round texture that hit the spot as a delicious go to red that is offered at a good price. 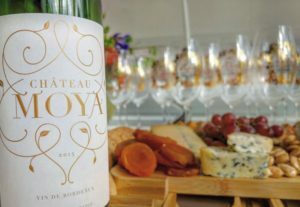 –2015 Château Moya, Castillon Côtes de Bordeaux AOC, Bordeaux, France: 93% Merlot and 7% Cabernet Sauvignon. Castillon Côtes de Bordeaux is a more specified area in the Right Bank of Bordeaux, and of course as many of you know, the Right Bank is the home to great Merlot dominant wine. These vineyards are also organic as that was a big factor for Tom. This wine had a beautiful spice laced nose with toasted walnuts and smoldering cedar drifting from the glass that was balanced by a filled out palate with ripe red and black fruit. 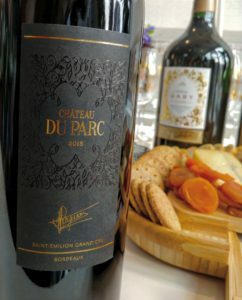 –2015 Château du Parc, Saint-Émilion Grand Cru AOC, Bordeaux, France: 80% Merlot and 20% Cabernet Franc. For those of you into the fine wines of the Right Bank, you probably are very familiar with Saint-Émilion and their elegantly rich expression of the Merlot and Cabernet Franc grape varieties. 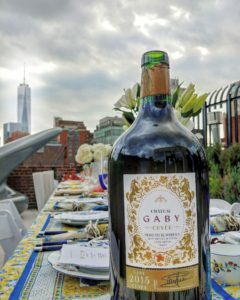 This was a big wine with broad shoulders that had blueberry preserve flavors that were highlighted by an enticing floral note. Chewy tannins and concentrated fruit makes this wine a must with steak or even lamb would be a good pairing. –2015 Château Gaby Cuvée, Canon-Fronsac AOC, Bordeaux, France: 80% Merlot, 10% Cabernet Sauvignon and 10% Cabernet Franc. After I had this wine, I said to myself “I need to drink a lot more Canon-Fronsac from the Right Bank of Bordeaux” because this was outstanding. This wine had a deep concentration of fruit yet retained an overall finesse with finely sculpted tannins and a regal tension with underlying minerality. This wine really shows how it came from quality clay and limestone soils that were lovingly organically farmed… a stunner. 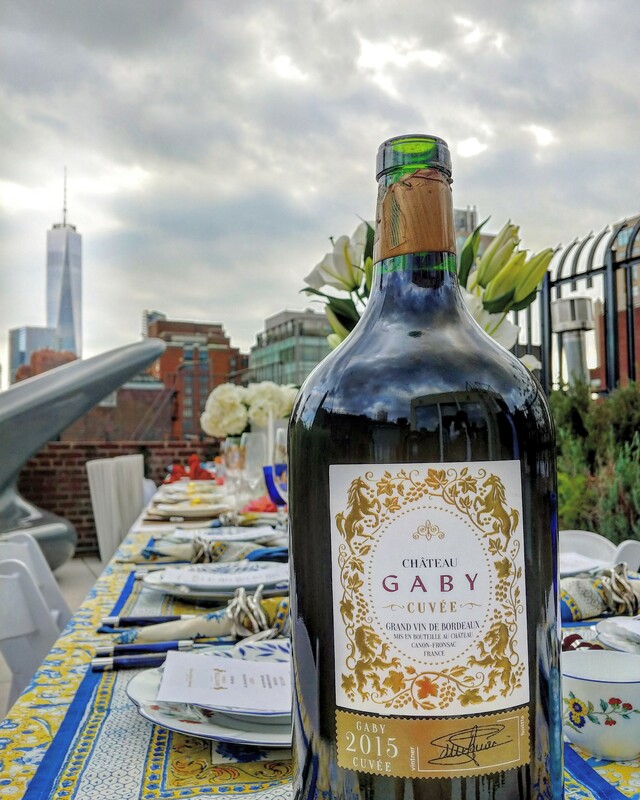 No wonder it won a 2012 competition that was held in Bordeaux, France to determine the best red wine; 596 top Bordeaux wines entered and were blind tasted in 90 sessions by over 180 wine connoisseurs and the 2008 Gaby Cuvée came out as the favorite. The Cuvée is their strictest selection of the Gaby vineyards. 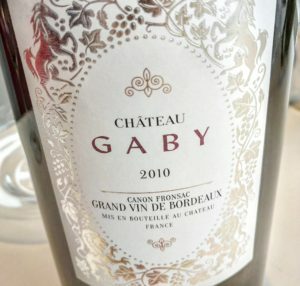 -2010 Château Gaby, Canon-Fronsac AOC, Bordeaux, France: 80% Merlot, 10% Cabernet Sauvignon and 10% Cabernet Franc. The estate of Château Gaby has been making wine since the 1660s and it is wonderful to see it get new life with an owner like Tom who is committed to organic farming as well as bringing the estate back to its glory – it is open for visitors if you ever find yourself in the area. Despite this 2010 not being the cuvee, I found it completely delicious with its seductive savory grilled meat nose intertwined with dried herbs and plenty of fresh red currant and boysenberry fruit… the kind of wine that made me fall deeply in love with Bordeaux in the first place… it was the perfect wine to finish the tasting as I could see the sunset behind the One World Trade Center in the distance. A wine that I would keep with me that was a reminder, that yes, this is what Bordeaux wine should be! This entry was posted in Uncategorized and tagged Bordeaux, Cabernet Franc, Cabernet Sauvignon, Chateau Gaby, Dame Wine, France, Merlot, Red Wine, Right Bank Bordeaux, Rose, Wine, Wine Tasting, Winetasting. Bookmark the permalink.